Seventeen Seton Hill students enjoyed VIP access to Broadway on a recent trip to New York City. Theatre and Dance Program professors Denise Pullen and TaMara Swank orchestrated the trip. They also accompanied the students on what was, for some, their first trip to Broadway. 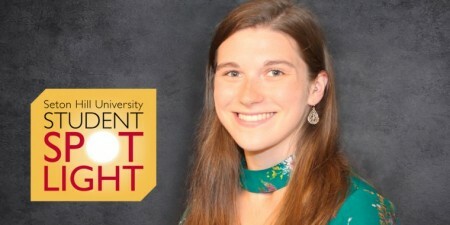 Seton Hill grad Laura Stracko (‘08) has been working in city and regional theatres since graduation. Fellow alum Kristy Bissell (‘12) is a teacher with New York Vocal Coaching, training professional actors of all ages. In conversations with the students, the women shared unique perspectives on living and working in New York City. Visits to museums and other cultural sites. The option to take the trip for course credit. TaMara and Denise plan to take another group of students to Broadway in the near future. 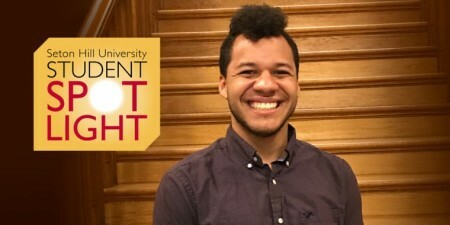 By then, some of the students from this trip may have already joined the expanding group of Seton Hill performing arts alumni living and working in New York. Photo: Faculty and students leaving for New York from the historic train station next to Seton Hill's campus. 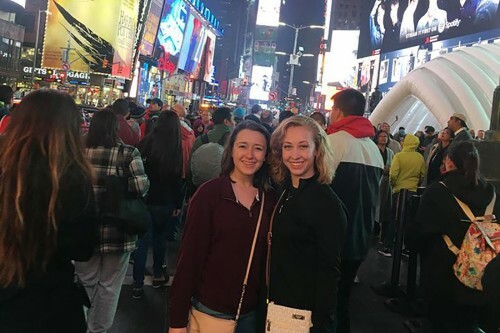 Jessica Joos (dance and exercise science double major) (left) and Michele Gala (dance and business admin: marketing double major)(right) in Times Square. 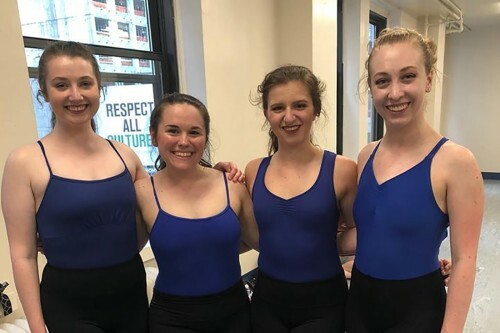 (From left to right) Nicole Castelli, Tasha Matthews, Leah Prestogeorge, and Michele Gala at a masterclass based on the broadway musical, Cinderella. The class was taught by Lee Wilkins. Michele Gala in a mock audition masterclass. Shane Wiseman (dance major) is to the left. 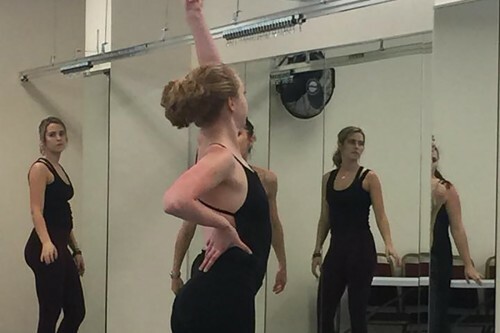 Learn more about the Theatre & Dance Department at Seton Hill.